DURHAM: Donald Carl Anderson, 80, passed away on Sunday, January 27, 2019 at Duke University Hospital. He was born July 5, 1938 in New Haven, Ct to the late Oscar Anderson and Margaret Cachappelle Anderson. He is survived by his daughter, Martha Anderson Bert; sons, Mark Anderson, Thomas Anderson; and brother, Robert Anderson. Some people leave a mark wherever they go, improving their community through advocacy, doing the work in the trenches, and winning the hearts of those who are fortunate enough to call them friend. Don Anderson was one of those people. After making a lifelong commitment to serve those seeking recovery in 1969, he impacted countless lives in every community he was a part of, including New Haven, CT, Pacific Beach, CA, Atlanta, GA, and Durham, NC. He worked diligently in hospitals and institutions carrying the message of freedom from active addiction. In 1982, Don left California for Atlanta, GA, making his home near the VA Hospital, where he was instrumental in carrying the message of hope and freedom in the Atlanta urban community. He believed in the power of service work and sponsorship. His journey led him to serve locally in Durham, NC in 1991, where he worked in the drug treatment field. He began working at the Phoenix House, a transitional housing program created by Housing for New Hope for homeless men seeking recovery. Don trained dozens of former participants in the program to serve as relief managers, and many men eventually became resident managers themselves. He assisted in their expansion to include Dove House, a similar program for women experiencing homelessness and addiction. As Housing for New Hope expanded further in 1997 to include permanent housing options, Don worked as a tenant advocate for formerly homeless tenants. He concluded his career as a treatment counselor in 2014 at Freedom House in Chapel Hill due to declining health. Don was selfless, loving, stern, and compassionate. He dedicated his life to the selfless service of others. The love that he shared continues to grow in the communities he served and beyond. He was surrounded by loved ones at his passing on Sunday January 27, 2019. A celebration of life and fellowship will be held from 2 to 5 pm on Saturday, February 9th in the Gathering Room at Clements Funeral Home in Durham. 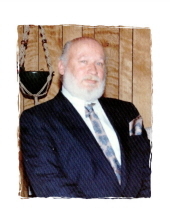 To send flowers or a remembrance gift to the family of Donald Carl Anderson, please visit our Tribute Store. "Email Address" would like to share the life celebration of Donald Carl Anderson. Click on the "link" to go to share a favorite memory or leave a condolence message for the family.